Forget About It: Your Middle-Aged Brain Is Not On The Decline You forget someone's name, or why you ran downstairs. Your brain is getting older, and the connections are weakening. But research shows the middle-aged brain is actually operating at its peak. 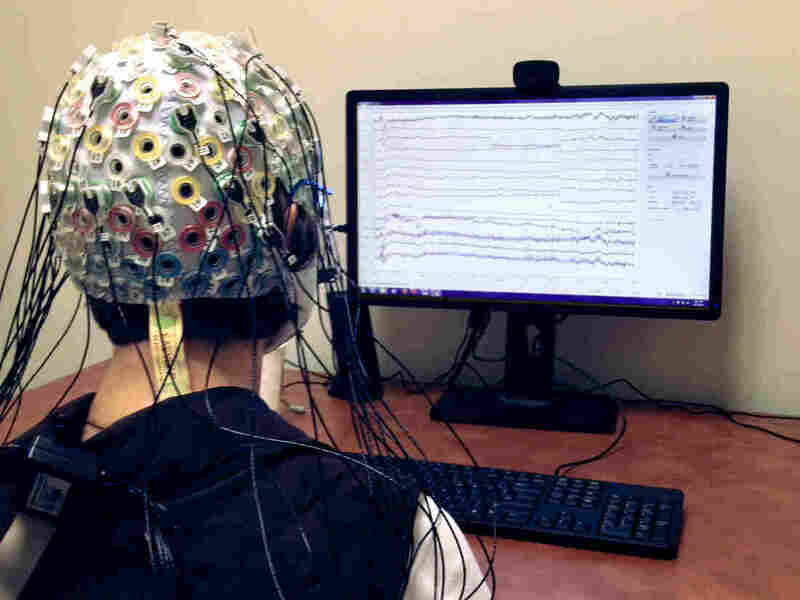 Taking an intelligence test at the University of Maryland: In one month of brain training, former NPR correspondent Barbara Bradley Hagerty vastly increased her scores in intelligence tests. Faced with her own forgetfulness, former NPR correspondent and author Barbara Bradley Hagerty tried to do something about it. 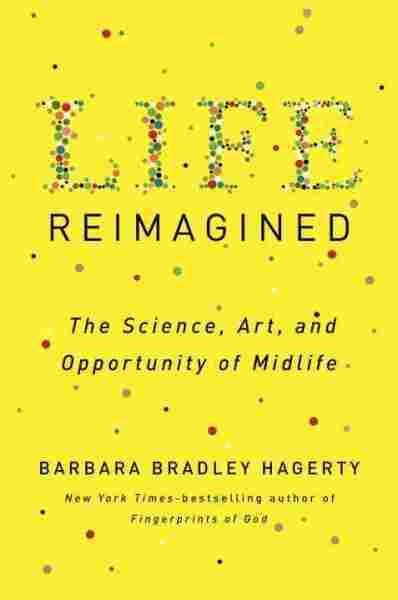 She's written about her efforts in her book on midlife, called Life Reimagined. To her surprise, she discovered that an older dog can learn new tricks. A confession: I loathe standardized tests, and one of the perks of reaching midlife is that I thought I'd never have to take another. But lately I've noticed that in my 50s, my memory isn't the same as it once was. And so I decided to take a radical leap into the world of brain training. At the memory laboratory at the University of Maryland, manager Ally Stegman slides a sheet of paper in front of me. It has a series of boxes containing different patterns and one blank space. My job is to figure out the missing pattern. The test measures a sort of raw intelligence, the ability to figure out novel problems. Time races by. It takes me two minutes to crack the first question. I am stumped by the second and third. Finally, I begin to guess. After 25 minutes, the test is over, and to my relief, Stegman walks in. This test was really, really hard. The reason I am here, voluntarily reliving my nightmare, is simple: I want to tune up my 50-something brain. So over the next month, I will do brain-training exercises, then come back, take the test again and see if I made myself smarter. 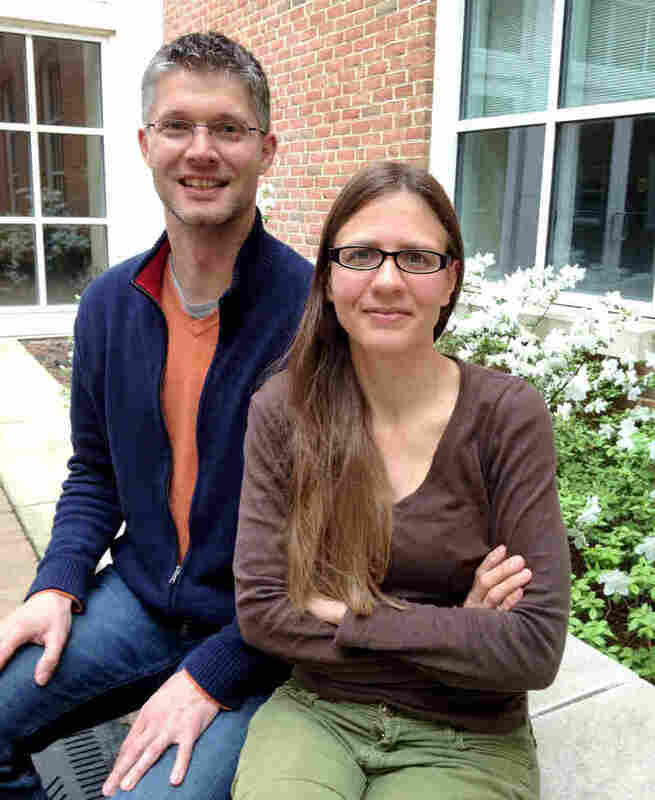 Now, researchers typically talk about two aspects of intelligence. One is crystallized intelligence. "Crystallized intelligence is our accumulated experience and skills, general knowledge, vocabulary that we learn across our lifespan, so to speak," says Susanne Jaeggi, a cognitive neuroscientist and my guide through my brain training experiment. This crystallized intelligence can keep rising through your 60s and 70s. And then there is fluid intelligence. "We talk about fluid intelligence when we mean our ability to solve new problems or approach or reason without relying on previously acquired knowledge or skills or experience," Jaeggi says. Fluid intelligence is thought to be limited by your genes and generally begins to decrease after your 20s. Jaeggi, who now teaches at the University of California at Irvine, says scientists have long thought that you cannot increase fluid intelligence. But Jaeggi and Martin Buschkuehl, her colleague and her husband, wondered about that. They decided to focus on working memory — that is, your ability to hold information in your head as you manipulate, juggle and update it. "Working memory ... is kind of the cardiovascular functioning of the brain," Jaeggi says. She says working memory is an underlying brain mechanism. It's critical to higher cognitive skills such as reading, math and fluid intelligence. So, just as jogging boosts your cardio system and can make you better at other activities like climbing stairs or swimming, the same may be true of your brain. "If we can strengthen working memory skills, we might see benefits on all other tasks that rely on the functioning of the working memory system, such as fluid intelligence or reading comprehension or others," she says. At first, Buschkuehl didn't think it would work. "And then we decided, well, let's try to replicate it," he says. "And it actually worked." They found that when people practiced on a computerized game that built up working memory, they improved their scores on fluid intelligence tests. When they published their findings in the prestigious Proceedings of the National Academy of Sciences, they set off a firestorm. But Zach Hambrick, a cognitive psychologist at Michigan State University, says scientists are divided as to whether brain training works. "Who cares if you get better at a video game task?" Hambrick asks. He has tried to replicate their findings, and failed. And even if Jaeggi's and Buschkuehl's participants did perform better on tests, he says, "what we want to see is that people are improving in the workplace, in the classroom, maybe for soldiers on the battlefield making better decisions about when to engage the enemy and so forth, and this is the evidence that's really lacking." I've heard this reservation many times. Still, I'm curious and slightly desperate to sharpen my brain. The day after I meet Jaeggi and Buschkuehl, I sit in my living room and start their brain training game, called the n-back. (You can give an n-back test a try here.) Light blue boxes fill my computer screen. When one square lights up, I decide whether it's in the same location as the square that lit up last time. Sounds easy, right? It gets trickier when you have to decide if that square lit up two times ago or three or four. Theoretically, after 20 days of practicing, I will become more mentally agile. I'll be able to hold memories in my head and manipulate them. I've got my doubts. For example, the brain training company, Lumosity has been fined for promising more cognitive improvements than it's delivered. But even if it doesn't work, brain researchers have great news for people 30 and up who feel their brains are slowing down. We can get smarter. Remember, intelligence can be divided into two parts: fluid intelligence, the kind of IQ you're born with, and crystallized intelligence, which are things like skill, knowledge, expertise. "There's no controversy about whether we can increase crystallized intelligence," Hambrick says. Just read the newspaper, Hambrick says. You've made yourself smarter, and you can keep improving your brain right into your 70s. "People learn new things, and we take up hobbies and learn how to play music, and how to cook new dishes. That's increasing crystallized intelligence," he says. Intelligence experts say not all learning is equal. To sharpen your brain, you should practice something new and hard. If you're already good at crosswords, doing more won't help much, so try learning Spanish. My 20th day of brain training. It has been painful, but I think I am getting a little bit better. But the game still has very challenging moments. Most of the time, I feel as if I'm walking through water, as if one part of my identity — my ability to be quick, and, above all, accurate — is vanishing. So I was delighted to hear Laura Carstensen, who directs the Stanford Center on Longevity, say this: "The middle-aged brain is fantastic." Carstensen says in your 50s, your cognitive abilities — processing speed and fluid intelligence, for example — haven't declined that much, while your knowledge and expertise are quite advanced. "Now add into that emotion regulation — the ability to solve hotly charged, emotional conflicts — and you've got a real powerhouse," she says. Whenever judgment or wisdom is required, we tend to opt for the 50- or 60- or 70-year-old — just look at the U.S. Supreme Court. So I ask Hambrick: Would he rather have a 30-year-old surgeon, or a 50-year-old? "I'm gonna take the 50-year-old," he says. That doctor has 20 more years in the operating room. "They performed hundreds, perhaps even thousands of surgeries. So what's going to rule the day is your crystallized intelligence," he says. And if something goes awry in the operating room, the veteran surgeon is more likely to have seen it before. In fact, studies have found that older air traffic controllers, pilots and chess masters outperform younger ones. Not because they're faster — they're not — but because they've handled crises in the air, or seen patterns on the chess board before. And at a glance, they know what to do. After a month of brain training to increase my fluid intelligence, I return with some dread to the University of Maryland. This time, when Stegman shuts me in the room to take the tests, it feels as if time slows down. I have more time to figure out each answer. Two hours later, Jaeggi and Buschkuehl walk into the room, grim-faced. They have my results. But Buschkuehl allows a small smile. I improved on average 18 percent across all the tests. Some of that, he says, could be because I had taken these tests a month earlier. It's called the re-test effect. But on the test that's considered a gold standard measure of fluid intelligence — the Advanced Progressive Matrix — I improved by 75 percent. "So it means solving new problems that you haven't seen before," Buschkuehl says. "It's very close to your overall mental ability, which people have assumed to be highly fixed. But you improved by 75 percent. It's pretty good," Jaeggi says. Raising the $64,000 question: Am I smarter? "Sure you are!" Jaeggi says. She quickly notes that I am a study of one. I may be a fluke. And I do still forget where I put my keys, I still stare at my phone wondering whom I was about to call. And yet, after all this, I believe there's hope for my middle-aged brain. And yours.